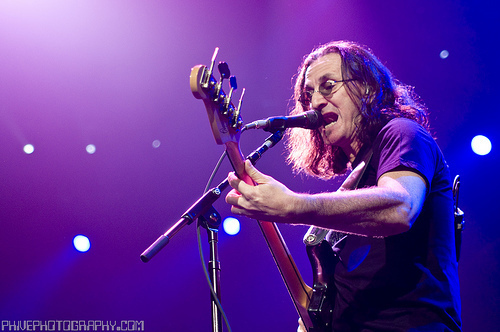 Geddy Lee - 2008. some great shots of Geddy Lee taken by Phive. at a Rush concert in Austin, Texas (Apr.23, 2008) - images found on flickr.com. Wallpaper and background images in the Rush club tagged: rush geddy lee alex lifeson neil peart concert photos phive. phivephotography.com austin texas 2008. This Rush photo contains concert, guitarist, and guitar player.